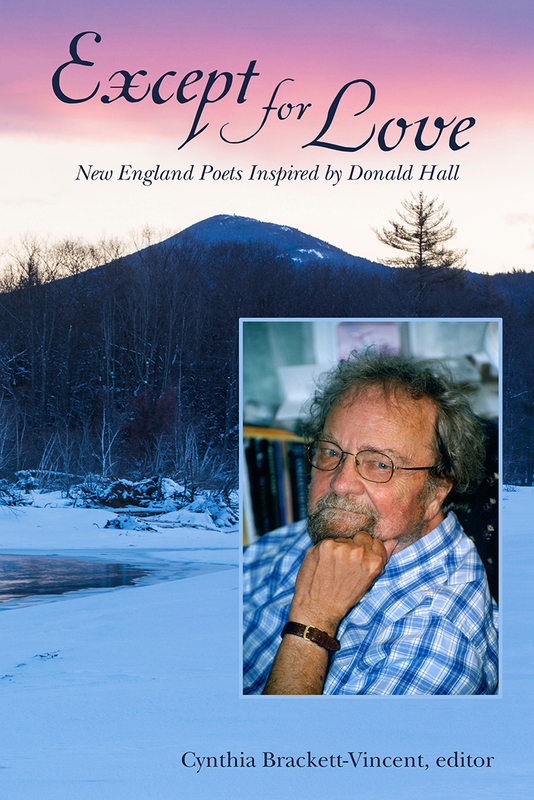 First: Except for Love: New England Poets Inspired by Donald Hall (Encircle Pub., 2019) is an adult poetry anthology that is one of the most important books in my adult literary career. Thirty-five New England poets share poems inspired by the late Donald Hall, former Poet Laureate of New Hampshire and of the United States. The fact that I live at the base of Mt. 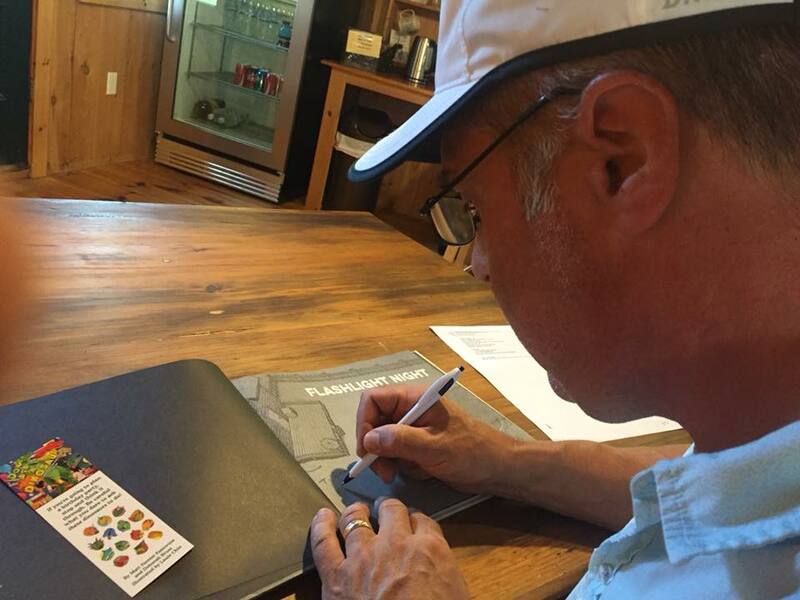 Kearsarge, a mountain synonymous with Hall and his work, is humbling and makes being in this book extra special. Sorry, you’ll just have to wait to see the rest of it! Except for Love is scheduled for release on June 23, the one-year anniversary of Hall’s death, but pre-orders are available HERE. 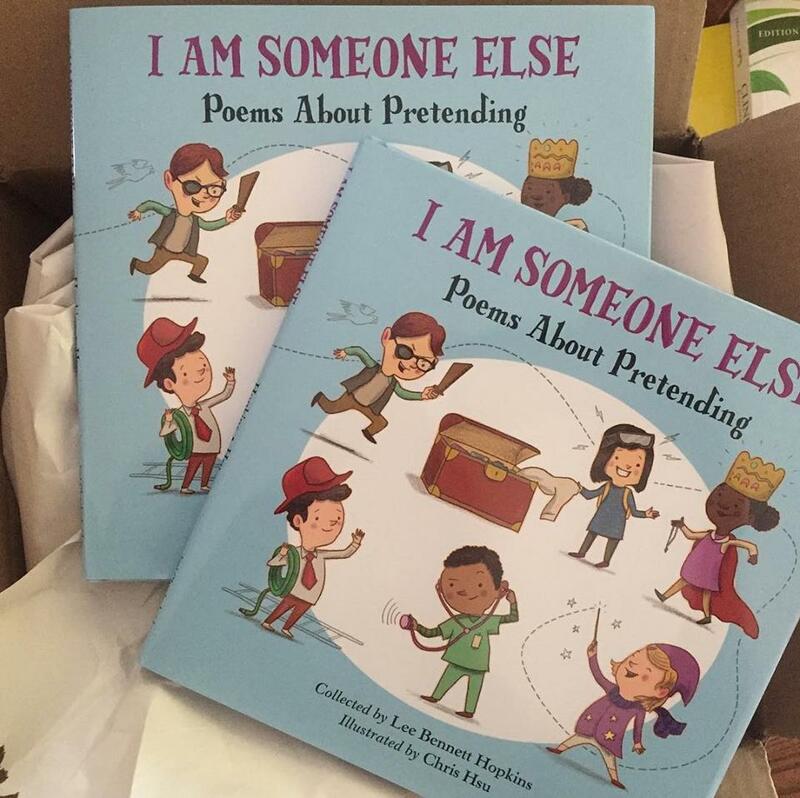 Second: I Am Someone Else: Poems About Pretending (Charlesbridge, 2019) is the newest Lee Bennett Hopkins children’s anthology, and my contributor copies just arrived in the mail! It’s a fun book, filled with poems about children pretending to be doctors, wizards, inventors, and all sorts of wonderfully imaginative people. (My poem, “The One,” is about a boy pretending to be a firefighter – but there’s a twist!) I’m proud, as always, to be part of one of Lee’s books – but also proud to be included with fellow writer-friends like Michelle H. Barnes, Amy Ludwig VanDerwater, and many others. I Am Someone Else will be in stores officially July 2, but you can pre-order now! More news about these books will be forthcoming, but I wanted to let you know they are on the way – and I can’t wait! 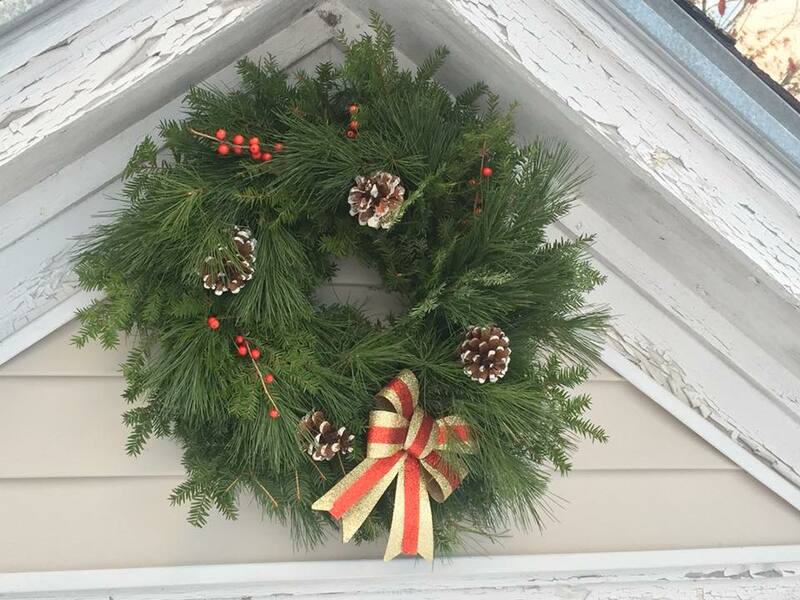 Today is Poetry Friday, so be sure to head on over to Karen Edmisten’s blog, where she is hosting the festivities, and you can check out all the links along with a touching, thoughtful poem by John Ashbery. Madness!Poetry is over, and congratulations to this year’s champion, Lori Degman! Lori & I battled fiercely in Round 2, and she was able to move on through each consecutive round and eventually defeat my former Poet’s Garage member, William Peery, to take home the trophy. 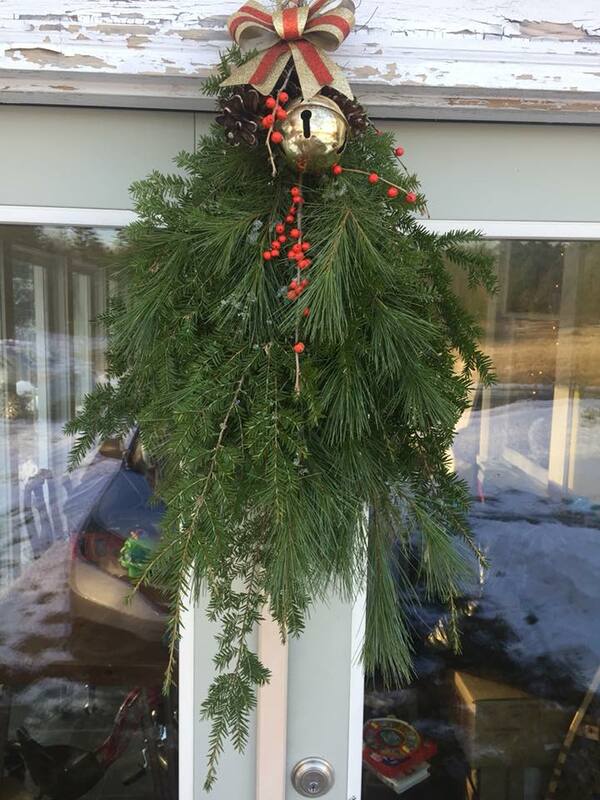 Poetry Friday: Welcome to the 2017 Holiday Poetry Party! 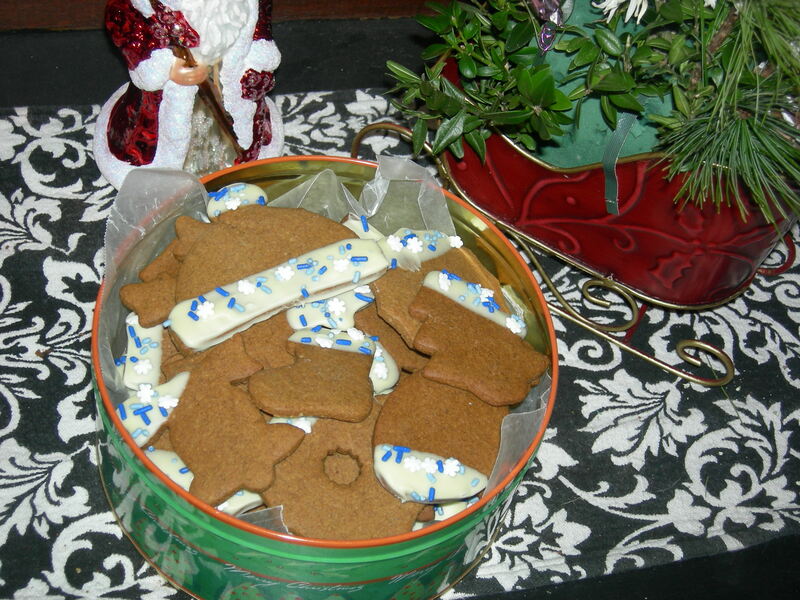 Pepparkakor, loaded with cinnamon, nutmeg, ginger, and cloves. If you’re feeling a bit peckish, you’ll find numerous tables scattered throughout the rooms, featuring my award-winning homemade chili, maple-glazed scallops wrapped in bacon, homemade spanakopita, Swedish meatballs, roasted pepper-and-olive petite quiches, and freshly-made, authentic French Canadian Tourtière and gorton. Chocolate-mint brownie cookies. If a cookie could be a brownie, this is what it would look like! Oh, I’m sorry – you prefer sweet over savory? We have numerous treats as well, including chocolate-mint brownie cookies, Scandinavian pepparkakor, vegan cranberry-banana bread, double-dipped pretzels, German springerle, tri-chocolate roasted walnut bark, tons of sugar cookies in every shape you can imagine (including flashlights! ), my famous pumpkin-rum swirl cheesecake with gingersnap crust, and a vegan chocolate cake with mocha icing you’ll absolutely love. Once you’ve satisfied your cravings, I do hope you’ll stick around for the poetry we’ll be sharing; you see, David L. Harrison, Joy Acey, and I started up this little shindig a few years ago, and up til now it’s been held at David’s place. But as wonderful as he and Sandy have been as our hosts, we thought it might be nice to move the party around a bit – so this year, it’s here at the ol’ Triple-R.
…so please leave a comment to let us know you stopped by – and if you’re so inclined, please include either a couplet about your favorite holiday food or the title of a new picture book you feel needs to be under every child’s tree this year! Although there is one particular book that is near and dear to my heart (I’m sure you can guess which one that is! ), I would like to suggest a few others that are special in different ways, all written by friends of mine from here in the Northeast: Amy Ludwig VanDerwater’s Read! Read! Read! (Boyds Mills Press) which was illustrated by my friend Ryan O’Rourke and came out the same day as Flashlight Night, with the same publisher and editor; Elaine Magliaro’s Things to Do (Chronicle), a collection of poetic scenes from nature written with the wonder of a child; Josh Funk’s fun The Case of the Stinky Stench (Sterling), the sequel to Lady Pancake & Sir French Toast; and Carol Gordon Ekster’s You Know What? (Clavis), which celebrated its national book launch alongside Flashlight Night when Carol & I visited Cambridge, MA in September for a kidlit author/illustrator gathering, followed by a presentation/reading/signing at Porter Square Books. Two other books I would add – and there are some GREAT ones out this year – are Lee Bennett Hopkins’ Traveling the Blue Road (Seagrass Press), a collection of children’s poems about bravery, courage, and how the sea is a metaphor for life’s journey; and my son’s favorite, Drew Daywalt’s The Legend of Rock, Paper, Scissors (Balzer & Bray) which is extremely creative in its storytelling and hilarious, to boot. Last – but certainly, definitely never least – is an upcoming book by the gentleman who started this virtual holiday party, David L. Harrison. A Place to Start a Family: Poems About Creatures That Build (Charlesbridge, 2018), David’s latest children’s poetry collection, comes out next month, features 12 poems about animals that build things – nests, tunnels, etc. 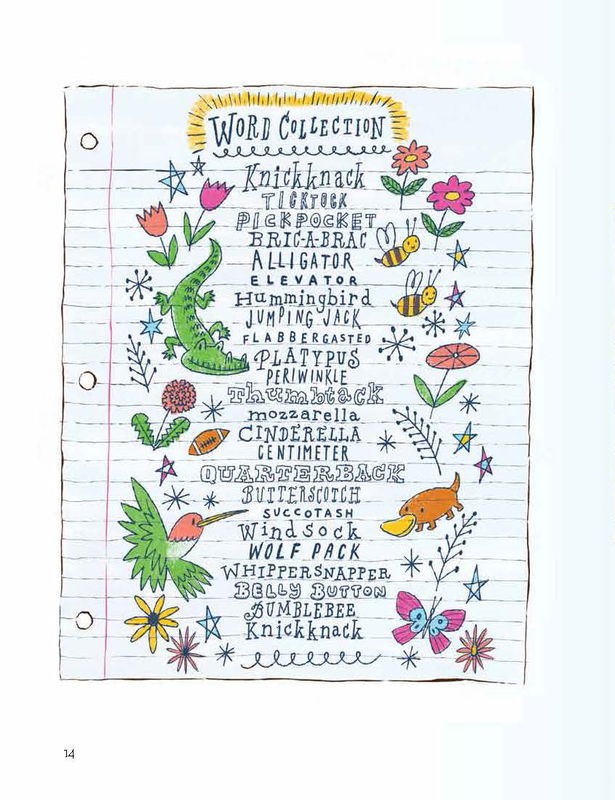 – and includes back matter that provides more info on each animal and its poem. Kirkus and Publisher’s Weekly already love it, so be sure to watch for it when it hits stores in January! I look forward to reading your couplets and picture book suggestions! Just leave them in the comments for everyone to read and enjoy. 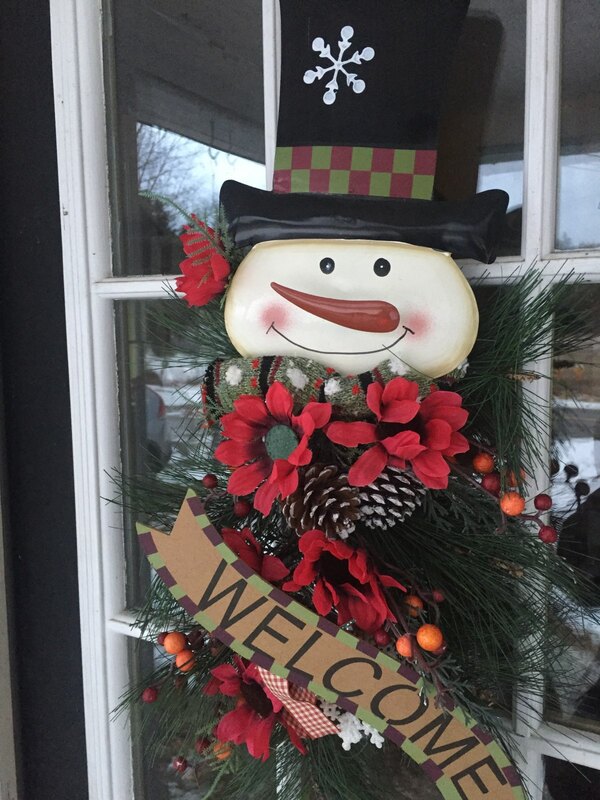 I’ll be popping in throughout the day to make sure introductions are made, plates are full, and glasses are filled! I’ll bake some cookies, make a mess, and then I’ll bake some more! It takes me twice as long these days; my sous chef’s only four. 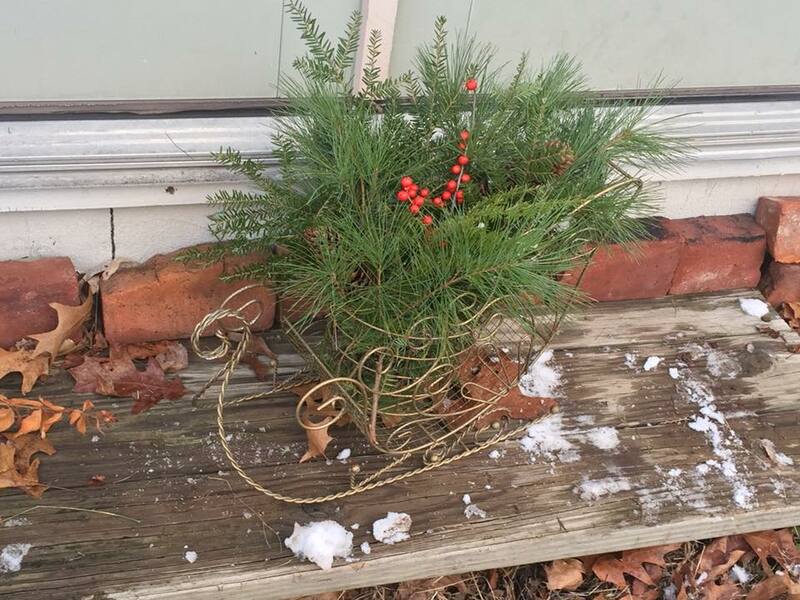 Diane Mayr is hosting Poetry Friday today, so I encourage you to swing by her place for a little while, as well, and enjoy all the poetry links and fun at Random Noodling! Some people just can’t sit still. 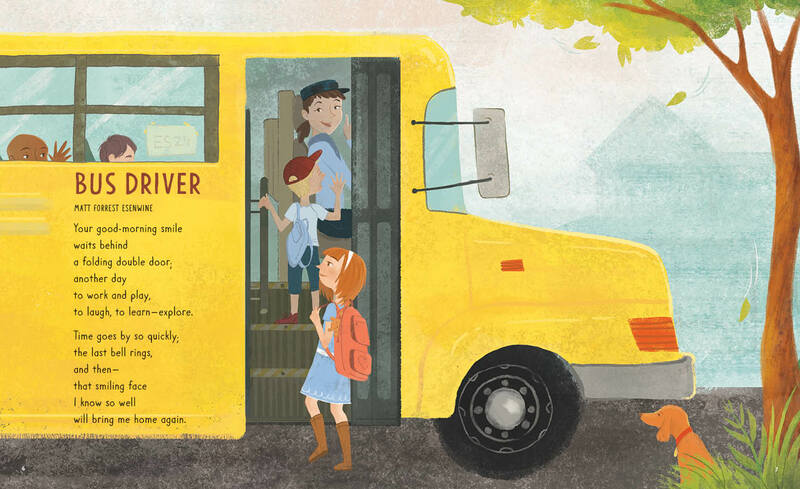 It was almost exactly one month ago that I featured my friend Amy Ludwig VanDerwater on the ol’ Triple-R blog here, as she celebrated the release of her newest children’s poetry collection, Read! Read! Read! 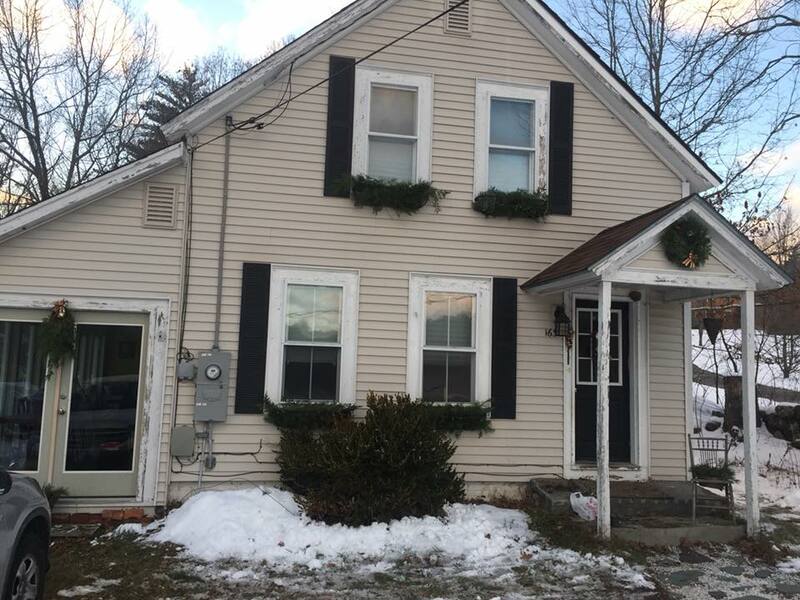 (Boyds Mills Press). Well, guess what…she’s back! 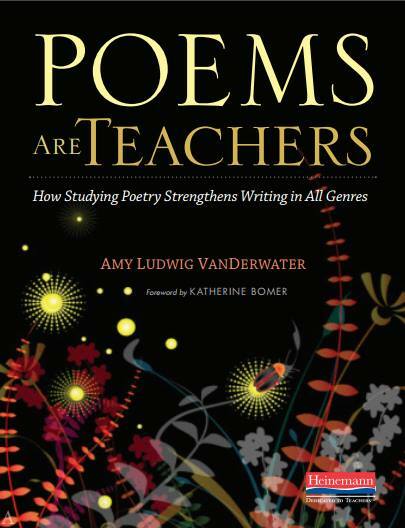 Yesterday marked the book birthday of Amy’s newest baby, Poems are Teachers: How Studying Poetry Strengthens Writing in All Genres (Heinemann) – a tremendously useful and easy-to-understand resource designed to help educators not only teach poetry, but to teach them how poetic tools, forms, and devices strengthen (as the title suggests) writing in general. The book is a wealth of information and includes poems from folks as diverse as Kwame Alexander, J. Patrick Lewis, Jack Prelutsy, Jane Yolen, Naomi Shihab Nye, Matt Forrest Esenwine, Margarita Engle, and – whoa! Wait a sec…how did I end up in this book?? Indeed, it’s true; many, many of our Poetry Friday family members are contributors, as well! Thank you for taking the time to visit, Amy! There are plenty of books out there about poetry and how to teach it, so what made you first decide that this particular book needed to be written? I have been rolling this book around in my head for a long time. Reading wise poems has deepened my heart, and writing hundreds of poems has honed my prose. Watching poetry disappear from many classrooms in the name of “Standards” was making me cry, and this idea felt like a secret door in again. As Mary Lee Hahn wrote, so many of us are trying to “bring poetry back to writing workshop” and into children’s lives. My hope is that Poems are Teachers will introduce children and teachers to many poets and that it will open doors between poetry, and narrative, poetry and information, poetry and opinion writing. Poetry is friends with all! How does one go about finding a publisher for a book like this before it’s written? Did you approach Heinemann with a proposal first? Heinemann has a whole process for proposing professional book which you can check out HERE. I’ve had a long-standing relationship with Heinemann as an occasional consultant for the past 15+ years, and I am also co-author with Lucy Calkins and Stephanie Parsons of Poetry: Big Thoughts in Small Packages, part of the Grade Two Writing Units of Study. I couldn’t feel more grateful to be publishing this book at this time with this thoughtful company and with Katie Wood Ray, an author I’ve admired for years, and an incredible editor. How did you approach the task of putting it together? That is, how did you determine the best format, the aspects of writing that you wanted to include, etc.? I am a terribly disorganized person, but I have been teaching writing and about strong qualities of writing for twenty years, so organizing this book through the various layers of writing – from idea-finding through language play – made complete sense to me. The challenge was knowing when to stop and trying to juggle the over 150 poems by both adult and child poets. Imagine piles of poems and permission forms and me….looking bewildered. I struggled with confidence and with my own writing demons, but that’s where Katie saved the day. There is plenty for people to learn inside this book…but what did YOU learn from writing it? I learned that I can do something scary. And I learned that poets, teachers, children, and families are very generous. I learned, too, that I still have tons to learn. This book is just a wee bit about poetry. There are so many beautiful books, so much to explore. My hope is that however long my life is…I’ll use each day to become a little bit better of a person and writer. I know that poems will keep teaching and feeding me. You also have a brand-new poetry collection that just came out a month ago, Read! Read! Read! 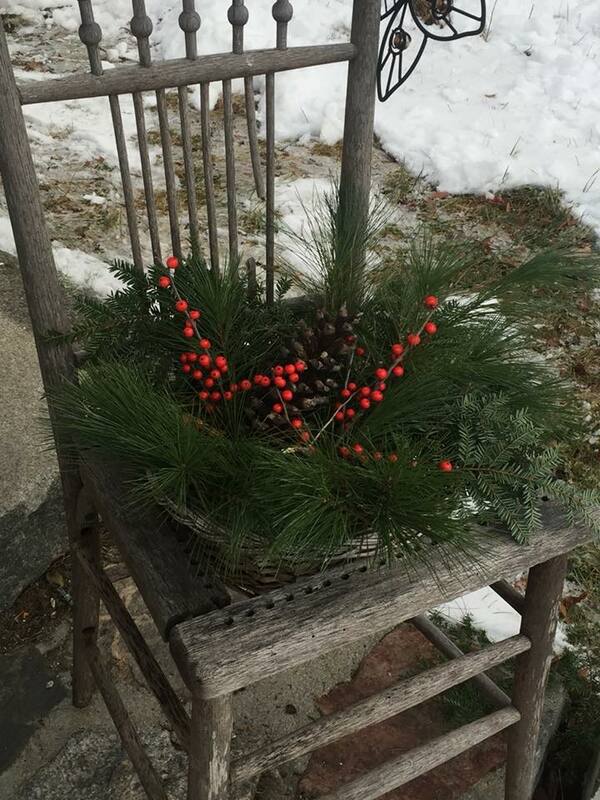 (Boyds Mills Press), plus you have more books coming out next year! Considering you started The Poem Farm several years before you were published, how does it feel now, with so much going on?? It feels humbling. I started The Poem Farm so as not to write alone. I never imagined all of this goodness. I hope to be of service and to keep writing in my notebooks, to make a little difference. Thank you tons, Matt, for sharing your superfun poem, “Soccer Sides” in Poems Are Teachers, and thank you for inviting me here today! Well, thank YOU, Amy – for everything you’ve been doing to spread poetry to our kids. Congrats on both of your new books! I am still smiling like crazy about your Flashlight Night and my Read! Read! Read! releasing together with Boyds Mills Press last month. That was a great week, I have to agree! Thanks again, Amy. 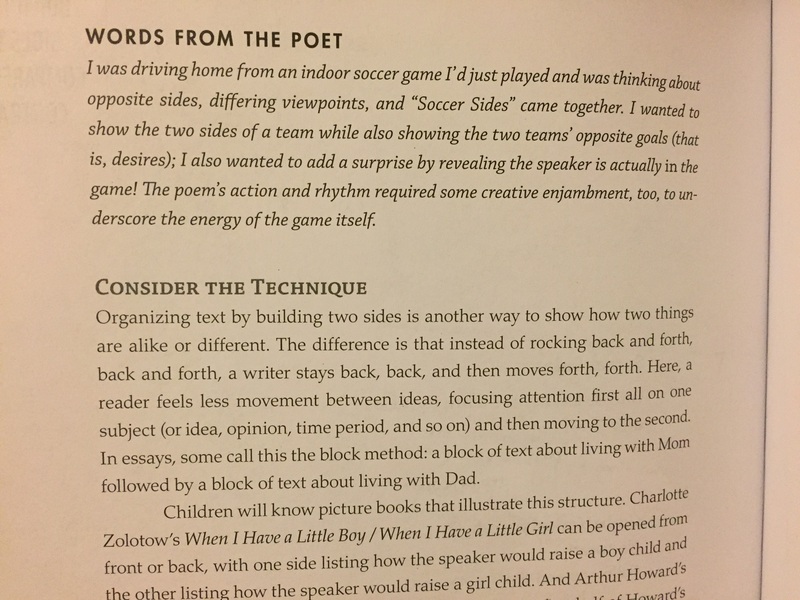 By the way, folks – if you’d like to WIN A FREE COPY OF POEMS ARE TEACHERS courtesy of our good friends at Heinemann, just leave a comment below, or share this post on Twitter or Facebook (and be sure to tag me, so I’ll know!). I’ll pick a name at random next Thursday at noon and announce the winner in next Friday’s post. As for my contribution to Poems are Teachers, Amy asked me to write a poem with two distinct halves. Not necessarily two stanzas, but two separate thoughts that combine to make a whole, such as a before-and-after scene, two people talking, or two perspectives of the same subject. Follow up and shoot some more! ……………………………………………………………….Defense means hang out in back. ……………………………………………………………….Better keep a watchful eye! Whether you teach poetry or write it, this book is an invaluable resource – so I hope you’ll consider picking up a copy. And speaking of poetry, Leigh Anne Eck is hosting Poetry Friday today at A Day in the Life, so be sure to head on over and check out all of this week’s poetry links and fun! I just learned a couple of days ago that Flashlight Night has been selected as one of the Top 20 “Best in Rhyme” rhyming picture books by Angie Karcher’s Rhyme Revolution website! I’m very happy to be in company with folks like Corey Rosen Schwartz, Lisa Wheeler, the late Anna Dewdney, and fellow former Poets’ Garage alum, Diana Murray, among others. The final 2017 Best in Rhyme Award announcement will be Feb. 3, 2018 in New York City on KidLit TV – and I’ll be sure to keep you posted! Can you believe it? 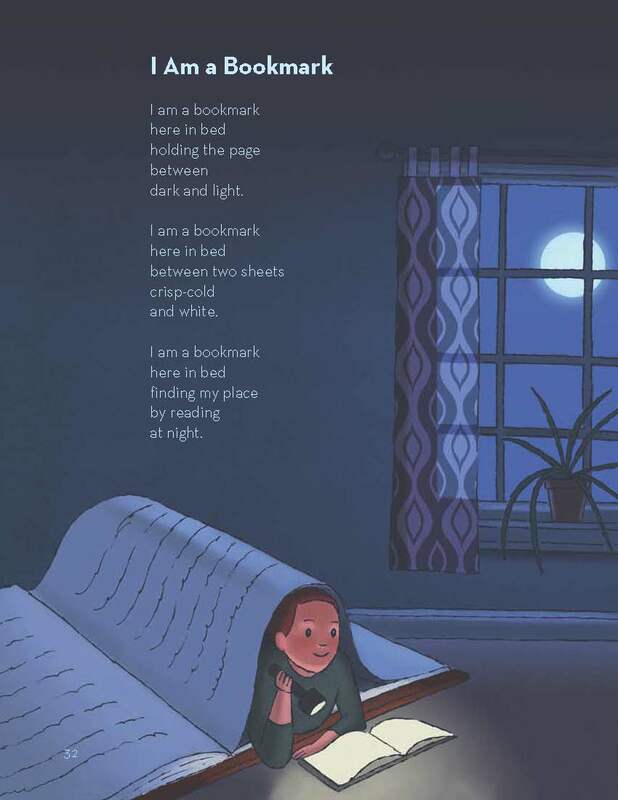 Today we’re celebrating a book that’s NOT Flashlight Night! You see, I’m doing something I rarely do on Poetry Friday: featuring poetry by someone other than Yours Truly. 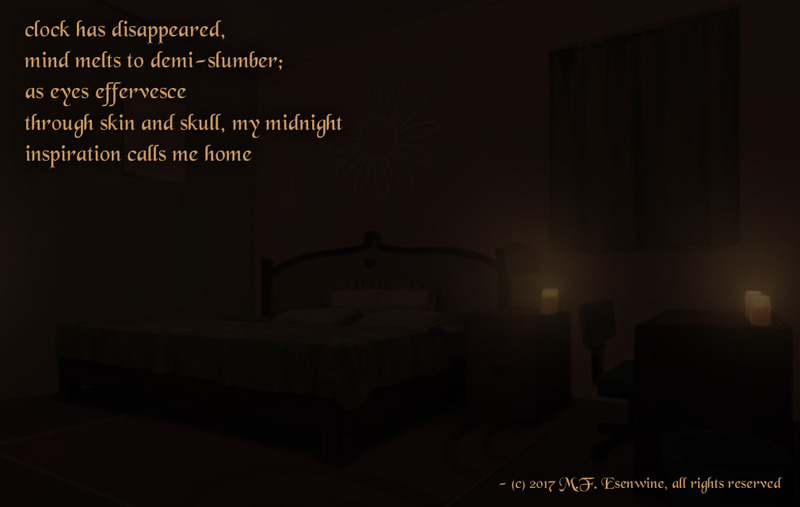 You see, I started off my blog with the intention of sharing my writing with the world every Friday, so I think I’ve only shared others’ poetry on Friday two or three times since I started the blog 5 years ago. If the name of the publishing company, Boyds Mills Press, sounds familiar, that’s because they are the same folks who published Flashlight Night – and if the publishing date sounds familiar, that’s because it’s the same date as Flashlight Night! Amy and I even shared the same wonderful editor, Rebecca Davis…so I just had to give Amy’s new book some love. It’s so good! 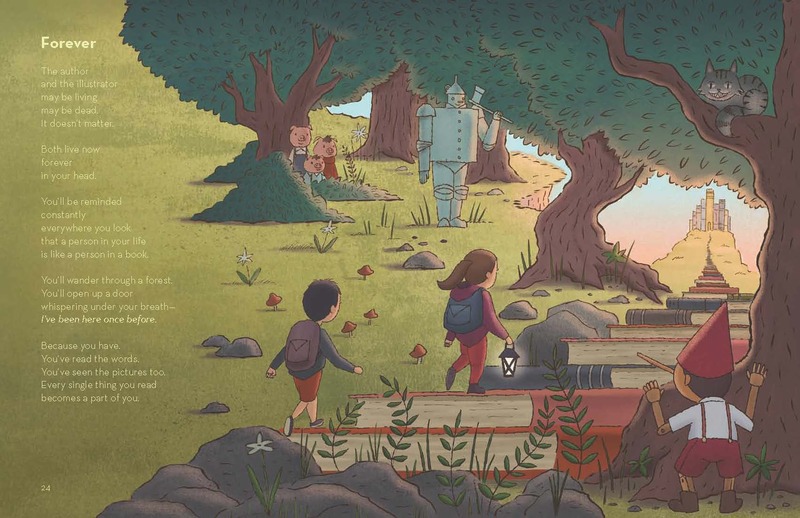 I have to add, Ryan O’Rourke’s illustrations strike a balance of playfulness and peace – and his color palette creates a classic, storybook feel to each page. I highly recommend this one, folks! So if you’d like to learn more about the book, the blog tour that’s currently underway (today we’re at Mrs. Knott’s Book Nook), and see where I’ll be in the coming few weeks, please check out this past Tuesday’s post, with all the details! Thank you so much to all who have enjoyed “Flashlight Night” enough to tell others about it!